2.3 Criticism of "silent illumination"
Dahui was a disciple of Yuanwu Keqin (Wade-Giles: Yuan-wu K'o-ch'in; Japanese: Engo Kokugon) (1063-1135) and was the twelfth generation of the Linji line of Chan. He was a vigorous critic of what he called the "heretical Ch'an of silent illumination" (mo-chao hsieh-ch'an) of the Caodong (Wade-Giles: Ts'ao-tung; Japanese: Sōtō) school. His teaching became known as the "Ch'an of kung-an (koan) introspection" (k'an-hua ch'an). Although he believed that koans were the best way to achieve enlightenment, he also recognized the value of the teachings of Confucius and Lao-tzu, saying, "If one achieves a genuine breakthrough, then [one realizes that] a Confucian is no different from a Buddhist, and a Buddhist is no different from a Confucian; a monk is no different from a layman, and a layman is no different from a monk; an ordinary man is no different from a sage, and a sage is no different from an ordinary man." Dahui was born in Hsuan Ch’eng, Anwhei Province, to the Hsi family. He left home at 16 and became a Buddhist monk at 17. His initiatory name was Tsung Kao. Following the tradition of the day, he wandered from Chan community to community, seeking instruction. He studied under a Caodong master and mastered the essentials of the Five Ranks of the House of Caodong in two years. He studied all the records of the Five Houses of Chan, being particularly drawn to the words of Yunmen Wenyan (Wade-Giles: Yün-men Wên-yen; Japanese: Ummon Bun’en), 864-949, founder of one of the "Five Houses" of Chan. He sought out instruction on the sayings of the old masters collected and commented on by Xuedou Chongxian (Wade-Giles: Hsüeh-tou Ch’ung-hsien; Japanese: Setchō Jūken) which became the basis for the koan collection, the Blue Cliff Record. Dissatisfied with intellectual study, at the age of 21 he went to Treasure Peak, near the modern city of Nanchang in Jiangxi Province, to study with Zhan Tangzhun (Wade-Giles: Chan-t'ang Wen-chun), a master of the Huang-lung branch of the Linji School. Although Dahui developed a great intellectual understanding of Chan, enlightenment eluded him. Recognizing his potential and great intellectual abilities, Zhan Tangzhun made Dahui his personal attendant. One day Zhan Tangzhou asked Dahui, "Why are your nostrils boundless today?" Dahui replied, "(Because) I’m at your place." Tangzhou retorted, "You phony Chan man." "You can talk about Ch'an very well; you can quote the sayings of former masters and write commentaries on them. You are eloquent in giving sermons and quick with the exchanges during interviews. But there is one thing which you still do not know." Dahui asked what it was. Tangzhou answered, "What you do not have is the awakening. Thus, when I talk with you in my room, you have Chan. But as soon as you leave the room, you lose it. When you are awake and attentive, you have Chan. But as soon as you fall asleep, you lose it. If you continue like this, how can you ever conquer life and death?" Dahui agreed, saying, "This is precisely my point of doubt." Later, after Dahui achieved the great breakthrough, enlightenment experience as the answer to the riddle of life and death and the great doubt necessary to have the determination to break through became central to Dahui’s teaching. When Tangzhou was ill, Dahui asked him to whom he could turn to continue his studies. Tangzhou said, "There’s a fellow from Szechuan named Ch’in (Yuanwu Keqin). Although I don’t know him, you must place your reliance on him, and you’ll be able to complete your affair." On his way to T’ien Ning Monastery in the old imperial city of Pien, Dahui vowed to work with Yuanwu for nine years and if he did not achieve enlightenment, or if Yuanwu turned out to be a false teacher, giving approval too easily, Dahui would give up and turn to writing scriptures or treatises. Master Yuan-wu ascended the high seat in the lecture hall at the request of Madame Chang K'ang-kuo. He said, "Once a monk asked Yun-men this question, 'where do all the Buddhas come from?' Yun-men answered. 'The East Mountain walks over the water' (Tung-shan shuei sheng hsing). But if I were he, I would have given a different answer. 'Where do all the Buddhas come from?' 'As the fragrant breeze comes from the south, a slight coolness naturally stirs in the palace pavilion.' When I heard this, all of a sudden there was no more before and after. Time stopped. I ceased to feel any disturbance in my mind, and remained in a state of utter calmness. Yuanwu gave Dahui the koan, "To be and not to be—it is like a wisteria leaning on a tree" to work on and after six months, Dahui achieved the final breakthrough and was recognized by Yuanwu as a Dharma-heir in the Linji tradition. Yuanwu assigned teaching duties to Dahui and Dahui’s fame spread far and wide. A high ranking government official, the Minister of the Right, Lu Shun, gave Dahui a purple robe and the honorific, "Fo-jih," the "Sun of Buddhism." The following year, 1126, the Muslim Nu-chen Tartars captured the Emperors Hui-tsung (1082-1135) and Chin-tsung and the capital at Kaifeng, was relocated to the south (present-day Hangzhou City), and the Southern Song dynasty began. Dahui also moved south and taught both monks and laymen. It was at this time that he began his severe criticism of the "heretical Ch'an of silent illumination" of the Caodong school which he would continue for the rest of his life. He became a great favorite of the educated and literate classes as well as Chan monks and in 1137, at the age of 49, the prime minister, Chang Chun, a student of Dahui, appointed Dahui as abbot of Ching-shan monastery in the Southern Song capital of Lin-an (Hangzhou). 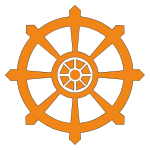 Within a few years his sangha grew to two thousand and among his lay followers were many high ranking officials. Dahui became the acknowledged leader of Buddhism of the Southern Song dynasty. However, disaster was about to befall him. Because of his association with a high official who fell out of favor with the prime minister, all Dahui’s imperial honors and his ordination certificate were stripped from him and he was sent in exile to Heng-chou (Hunan) in the year 1141. At the age of 62 he was transferred to present day Guangdong, a place notorious in those days for plagues and hostile elements. Some 50 of Dahui’s monks died there in a plague. Throughout these difficult years, Dahui continued teaching in the Linji tradition of Chan Buddhism, attracting both gentry and commoners. Finally, in 1155, Dahui was pardoned and was allowed to return to his former monastery at Ching-shan where he continued his teaching until he died five years later on August 10, 1163. He wrote a final verse for his disciples, saying, "Without a verse, I couldn’t die." Dahui’s letters to lay people reveal a compassionate teacher who believed that the enlightenment promised by the Buddha was available to all people, regardless of their daily activities and that the best way to achieve this was through the use of koans as a daily meditation device. Although there were hundreds of koans available, Dahui used only a few, believing that deep penetration of one or two koans would be enough to attain enlightenment. To achieve this, one had to work assiduously and with great determination, like someone whose "head is on fire". It mattered little to Dahui whether a person was particularly intelligent or not—liberation was available to all. He wrote: "It doesn’t matter whether your rational understanding is sharp or dull; it has nothing to do with matters of sharpness or dullness, nor does it have anything to do with quiet or confusion." This one word ‘no’ is a knife to sunder the doubting mind of birth and death. The handle of this knife is in one’s own hand alone: you can’t have anyone else wield it for you …You consent to take hold of it yourself only if you can abandon your life. If you cannot abandon your life, just keep to where your doubt remains unbroken for a while: suddenly you’ll consent to abandon your life, and then you’ll be done. The concept of ‘doubt’ was very important in Dahui’s teaching and he warned his students that they must ‘doubt’ words to not be fooled by them. Furthermore, they needed to ‘doubt’ their very existence. He said, "Many students today do not doubt themselves, but they doubt others. And so it is said, ‘Within great doubt there necessarily exists great enlightenment.’"  This was taken up five hundred years later by the great Japanese Rinzai teacher, Hakuin, who also taught great doubt as necessary for an awakening. They just sit in a ghostly cave on a dark mountain after their meals. They call this practice "silent illumination," "dying the great death," "the state before the birth of one's parents." They sit there until calluses appear on their bottoms, yet they still do not dare to move." He felt that this type of practice just leads to drowsiness, blankness and intellectualization and conceptualization of Chan Buddhism rather than enlightenment. He thought that teachers who taught this method of meditation had "never awakened themselves, they don’t believe anyone has awakened." For Dahui, koans were the only way to enlightenment and without koans, one would "be like a blind man without a walking stick: unable to take even one step." But koans had to be penetrated fully, not intellectualized. It was this fear of superficiality and intellectualization of old koans that led him to destroy all copies of his own teacher’s masterpiece, the Blue Cliff Record, to save Chan and to authenticate proper koan practice. By all accounts, Dahui was a remarkable teacher. ↑ Chun-Fang Yu. 1979. Ta-hui Tsung-kao and Kung-an Ch'an, Journal of Chinese Philosophy 6: 211-235. 211 Retrieved July 20, 2008. Cleary, J.C., 1977. Swampland Flowers: the letters and lectures of Zen master Ta Hui. Boston: Shambhala, ISBN 978-1590303184. Yu, Chun-Fang. 1979. Ta-hui Tsung-kao and Kung-an Ch'an, Journal of Chinese Philosophy 6: 211-235. Retrieved July 20, 2008. This page was last modified on 17 November 2017, at 17:07.